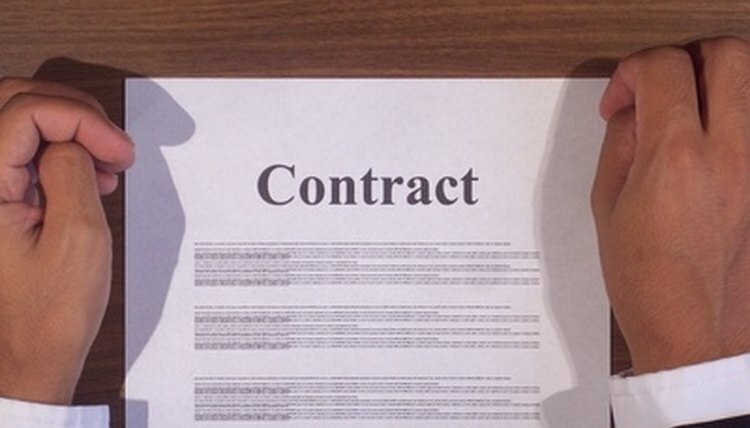 It is important to draft a written contract, or employee agreement, when hiring employees in order to clarify the terms of the employment relationship and avoid disputes. This is particularly important when hiring employees paid by the hour, because remuneration may vary greatly from month to month and because the remuneration structure normally includes extra pay for working overtime and holidays. Describing job duties in an hourly employee agreement can be tricky. If the description is drafted too broadly, it will be difficult to determine exactly what is expected of the employee. If the description is drafted too specifically, the employer will be deprived of the flexibility necessary to meet day-to-day business needs. For example, the description "driver" may be too broad, while the description "refrigerator and washing machine delivery driver in the Cardinal Valley neighborhood of Lexington, Kentucky" is too specific, because of its limitation on the type of products delivered and the scope of the delivery area. This section of the agreement should specifically state that the employee is to be paid on an hourly basis. The starting wage should be listed, along with any extra amounts provided for overtime and holiday work. If no minimum number of weekly or monthly hours are guaranteed, this should be stated. Any extra benefits such as health insurance should be clearly described. Sick leave and paid vacations should also be listed in this section, if the employer provides these benefits. If the employee is being hired for a specific period (one year, for example), the term of the employment agreement should be listed using starting and ending dates. In most cases, however, employees paid by the hour are employed on an "at-will" basis, meaning that they can be laid off without notice, at any time and without any reason given. If this is the case, the term "at-will" should be used, because it is a legal term of art with a well-defined meaning. If the employment is for a specific term, grounds for terminating the employee before the end of the employment contract should be listed. These grounds should be described generally in order to preserve flexibility for the employer ("...acts of dishonesty towards the company, its employees or its clients", for example). If the employee will have access to the employer's proprietary information, it is important to include a confidentiality provision that prevents the employee from divulging such information both during and after the term of the agreement. If the information is sensitive enough, it may be necessary to prevent the employee from working for the employer's competitors for a certain period after the employment relationship ends. A non-competition clause should apply only locally and should not survive more than three years after the termination of the employment relationship, because courts are reluctant to enforce broadly worded non-competition clauses. The entire first draft of the employment contract should be checked against applicable employment regulations. Although most employment law is state law, federal and local law sometimes applies. In particular, local and national minimum wage, overtime and holiday pay requirements must be complied with by the terms of the employment agreement. Employment agreements for employees who will work outside of the U.S. must take into account the law of the overseas jurisdiction. Carnes, David. "Hourly Employee Agreement." , https://legalbeagle.com/6317978-hourly-employee-agreement.html. Accessed 19 April 2019.